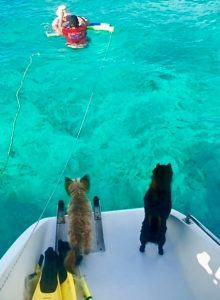 Dogs aboard luxury yacht charters swim with dolphins, run the beaches, easy to travel with your dog to most popular charter ports of call. 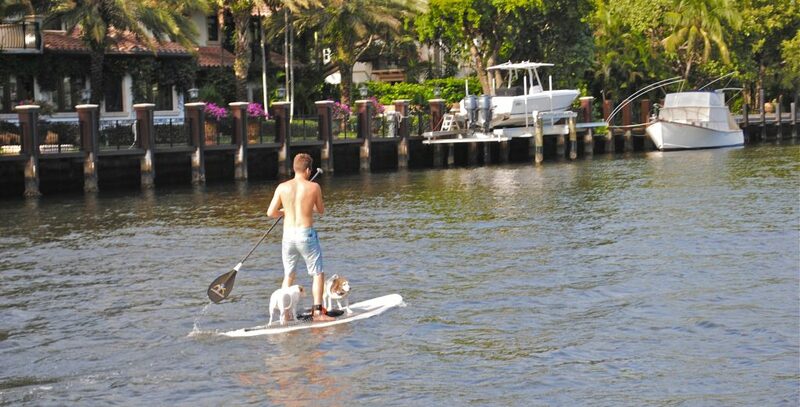 Do you hate leaving your dog behind when you go on vacation? Why not arrange to travel with your dog? 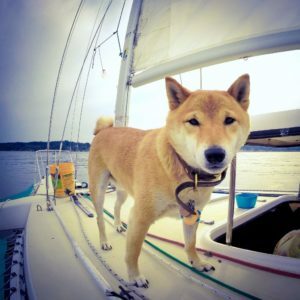 There are many charter yachts that allow dogs on board. 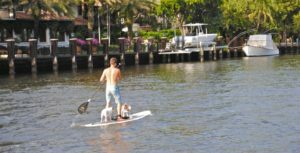 Cruising with your pet is less complicated than you might think. Here are some tips for traveling with man’s best friend. 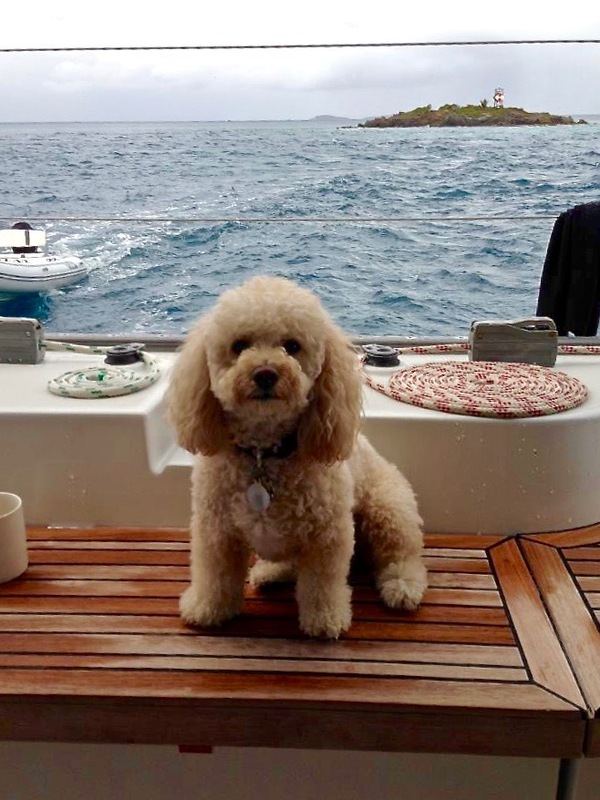 Tell your charter broker that you intend to travel with your dog. 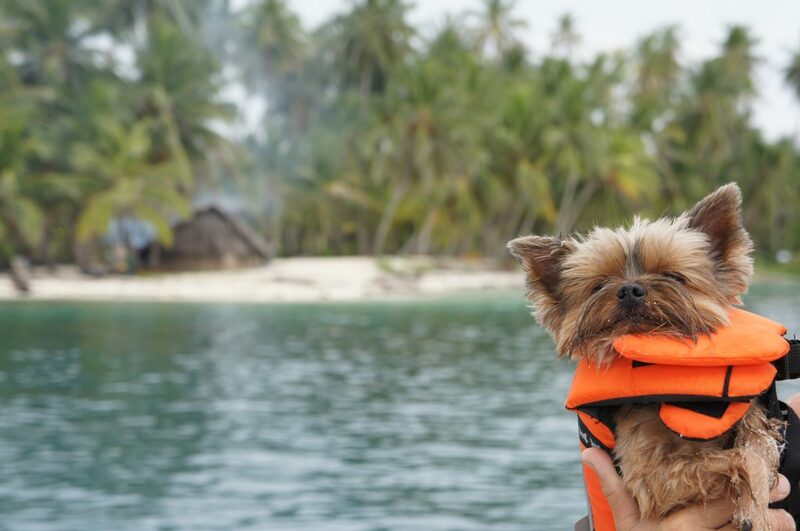 Choose a destination that is pet-friendly, or prepare to keep your dog on board. Select a yacht that allows your dog aboard. Confirm that the airline will accept your dog. Make a reservation. Get required documents from your vet. Bring necessary supplies, including adequate pet food. For dog lovers, Fido is part of the family. With careful advance planning, there’s no reason to leave him at home. 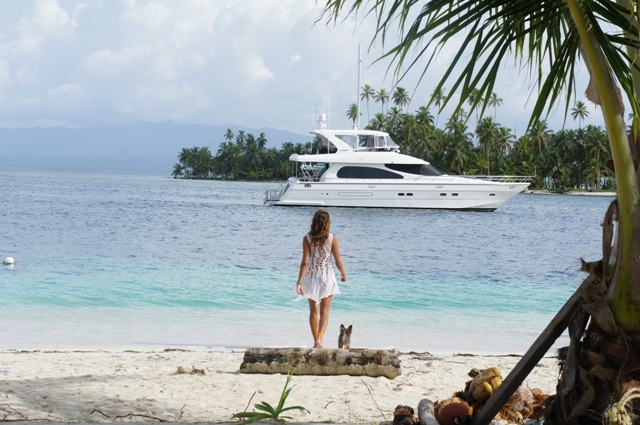 Bringing your dog on charter is a simple process, as long as you’re well prepared. The first step is to learn the requirements on your proposed charter itinerary for bringing your dog into a foreign country(s). Begin the necessary application process far in advance. Be aware that in many popular charter regions your itinerary may fall under the jurisdiction of multiple nations. Check with the embassies of the destination countries as to specific requirements that must be met. The easiest way is on the United States Department of Agriculture Animal and Plant Health Inspection Service, Pet Travel page. There’s a drop down menu. If your not destination is not listed you will need to contact the foreign embassy or consulate for that country. Once you’ve confirmed your destination, you can work with your charter broker to book the pet-friendly yacht that’s right for you. 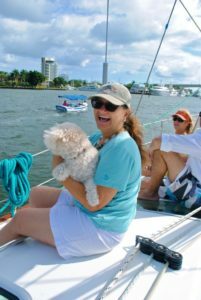 While most charter yachts that accept dogs check that box on their e-brochures, it never hurts to ask, especially if traveling with a small dog. When booking your flights, be certain to confirm each flight for your dog. Check with all airlines about their rules. Only small dogs are allowed in the cabin and must be stowed in special carriers under the seat. Many overseas flights don’t allow pets as carry-ons. Dogs traveling in baggage or cargo must travel in sturdy containers with enough room to turn around normally while standing, to stand and sit, and to lie in a natural position. Purchase flights with fewest layovers. Pick departure and arrival times to avoid extreme heat or cold. For example, plan a night-time arrival to a hot destination. Leave sedatives at home. The International Air Transport Association (IATA) discourages the use of sedatives or tranquilizers in animals traveling because they could cause harm to the animal while in flight. Always check with your veterinarian before giving your dog medications. Feed your pet a light meal 2 hours before getting to the airport. Walk your pet before leaving home and again before checking in. If you plan on train travel, be aware that Amtrak does not accept pets. In Europe, most local trains accept dogs and cats of all sizes with a fee or purchase of a pet ticket. Take your dog to the vet to get a health certificate, update necessary vaccinations and for disease testing. Depending on the country, this can be required as much as six months in advance. All countries require basic vaccinations and official proof of your dog’s good health. Some countries require their own, specific health certificate, other countries require the US-origin international health certificate APHIS FORM 7001 (“United States Interstate & International Certificate of Health Examination for Small Animals”). Health requirements and certificates may change at any time, so it is important that you check for the most current regulations. Bring your pup’s paperwork back with you. The United States Customs and Immigration checks your pet’s documents whether your pet is a first-time traveler to the United States or is returning from an international trip. Provision in advance for your dog. Bring food your dog is used to eating, enough to last through your charter. Collar, harness, identification tags, leash. Comfort items; favorite toy, small pet bed, blanket or shirt that smells of you. Pee pee pads for times you will need to leave your pet aboard. Please keep in mind that the crew is not responsible for the care and feeding of your dog. However, on request they may be able to find out what pet supplies can be purchased locally, what activities and points of interest are pet-friendly and what attractions offer kennels for vacationing dogs. 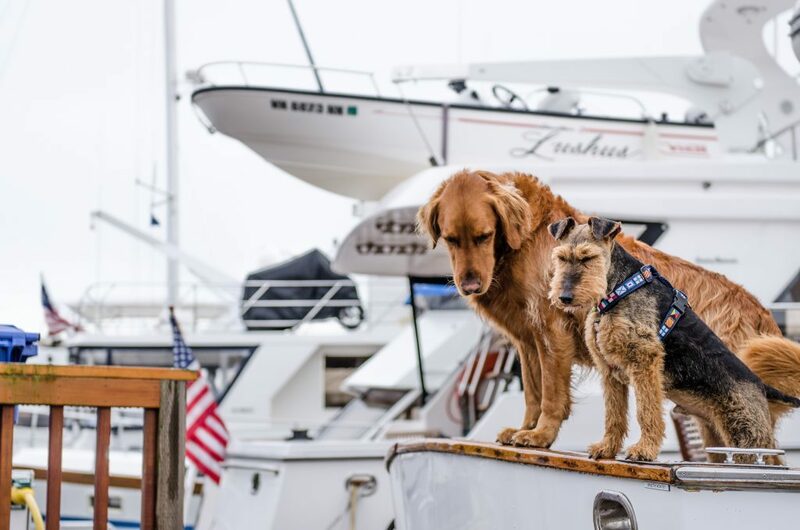 Advance planning will insure smooth sailing for everyone in your charter party; you, your dog and your crew. Mate Bella on Swish swims with dolphin pal! Pet-friendly superyachts are available worldwide. Are you undecided about where to vacation? Which charter yacht is right for you? Get expert advice from Select Yachts charter brokers. We’ve been there. We know the ropes. Loews Hotels (all): Fees vary by property, no weight limit, two pets per room limit, up-to-date vaccinations required. Make pet reservations in advance. 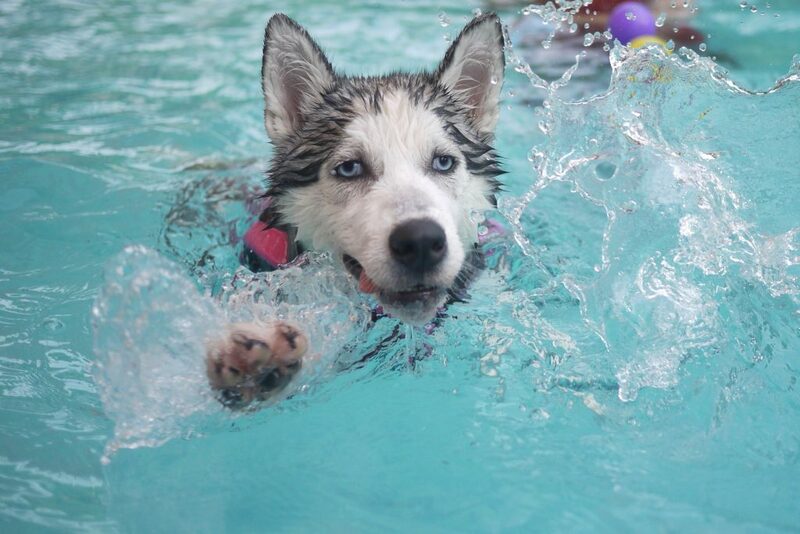 Please contact each hotel directly for their specific pet policies. 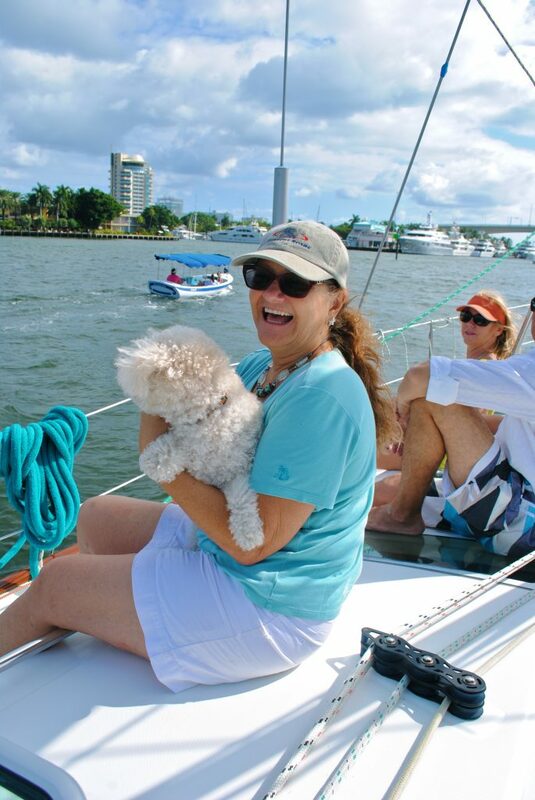 Contact Select Yachts to book your pet-friendly yacht charter vacation today!